Hey Guys! Recently married friends of ours bought their first new home together. We're heading over there tonight for dinner and I wanted to bring them something special as a housewarming gift and of course a handmade card to go with it. 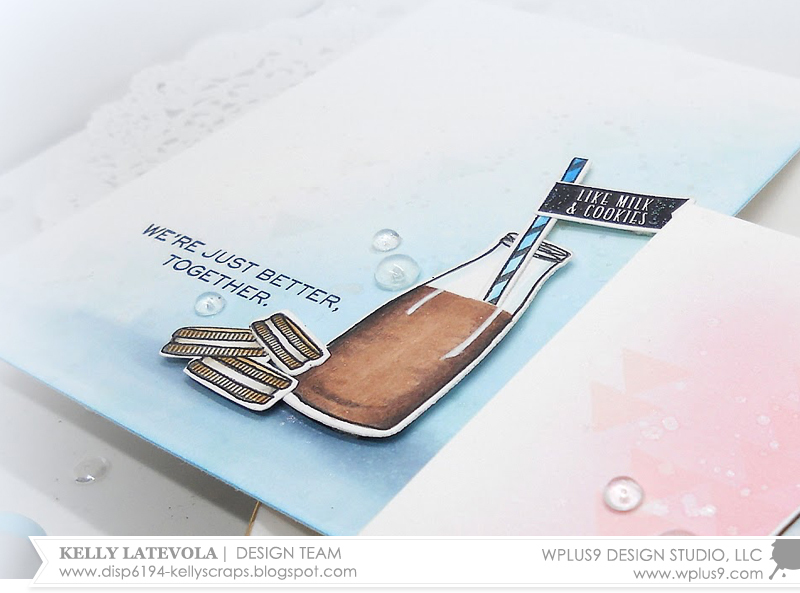 This card features almost no stamping! The design is created mostly with die cuts. I knew I wanted to use this cute house from Holiday Houses. However, since this is not a holiday card I didn't want the house to have wreaths on it. I decided to use the die alone and then the design was built around that. I colored the house with Fairy Dust Dye Ink using a sponge dauber. 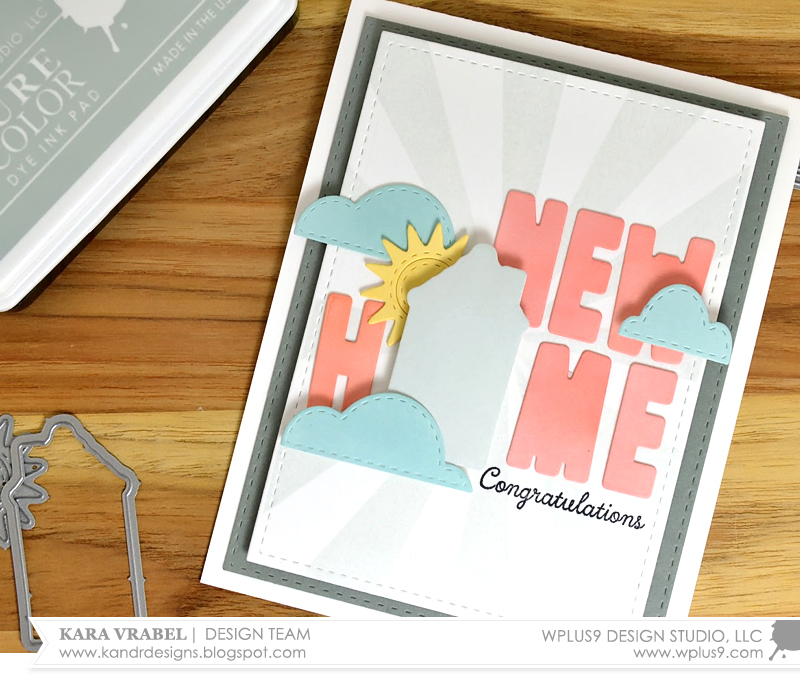 I die cut the words New Home using the Whimsy Alpha Die. I thought it would look cute to replace the letter "O" with the house die. The letters were colored in the same way using Shell Pink Dye Ink. The scale of the house is a little larger than the letters, but I thought that worked perfectly to put the focus on the house and bring the scene to the foreground. I chose the other elements in the scene from the Sunshine Layers Die. 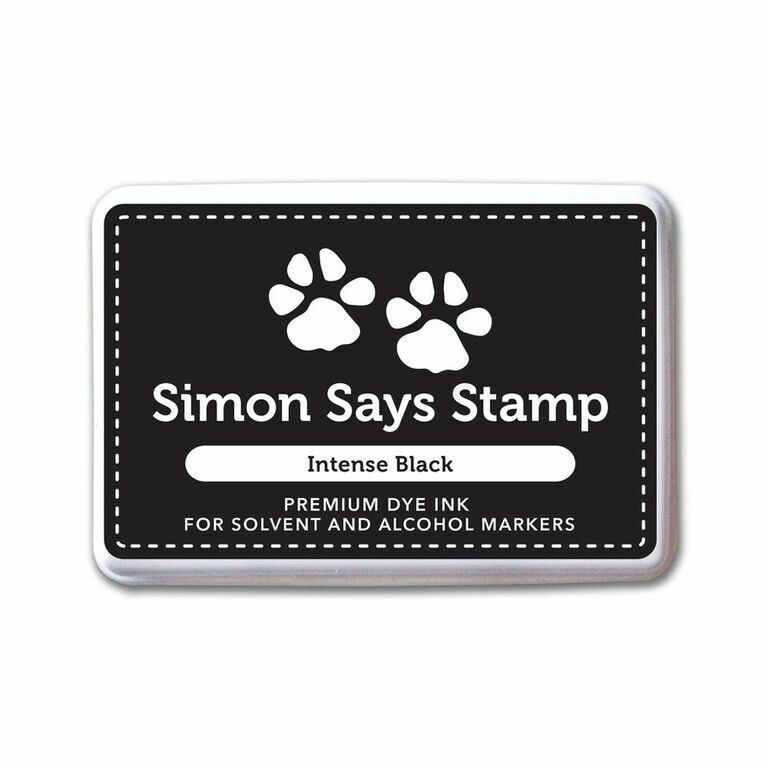 Color was added to them using Lake House and Falling Star Dye Inks. 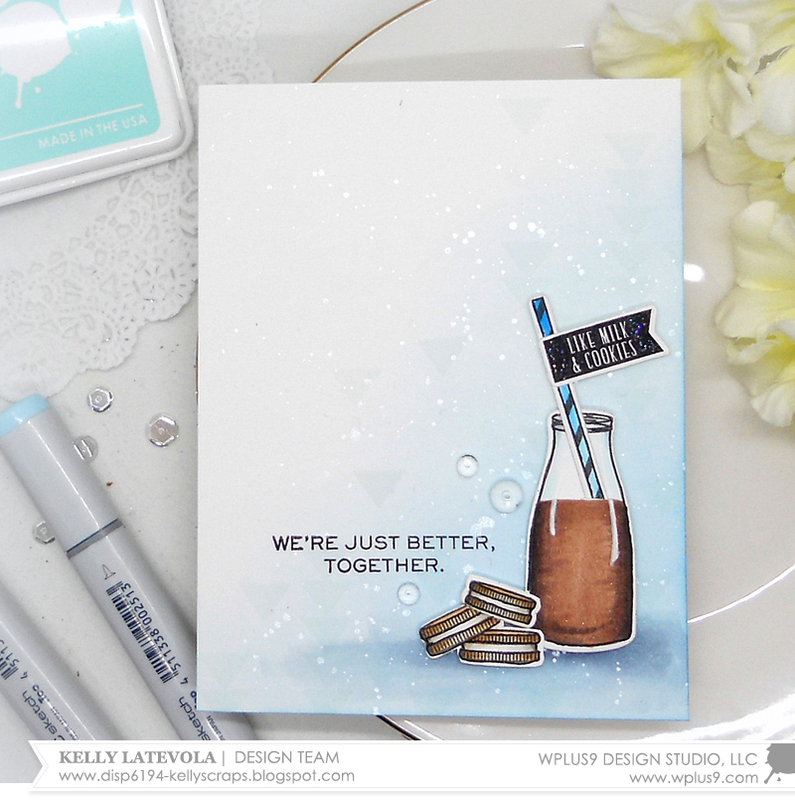 I used the Big Top Background stamp to create the subtle sunrays in the background stamped in Fairy Dust Dye Ink. 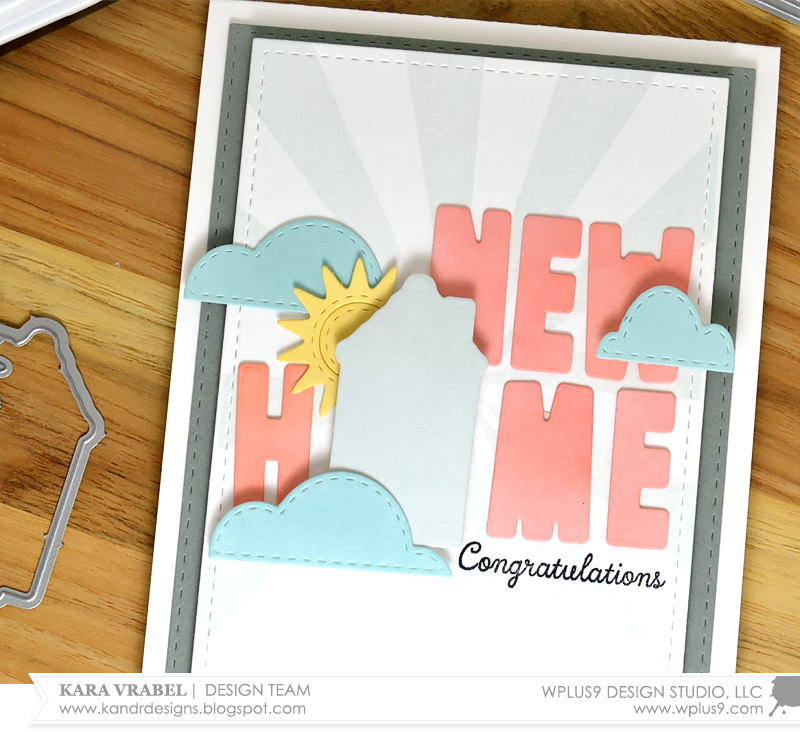 Finally, I stamped "Congratulations" at the bottom using a stamp from the Big Bold Greetings stamp set. I'm looking forward to dinner tonight and seeing our friends' new home. Thanks so much for coming by today! 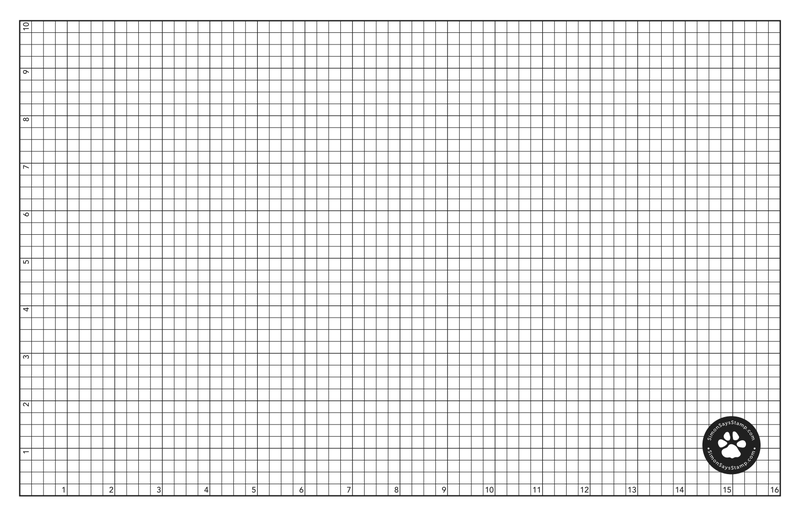 Hopefully this gives you some ideas for looking at your companion dies in a little different way. 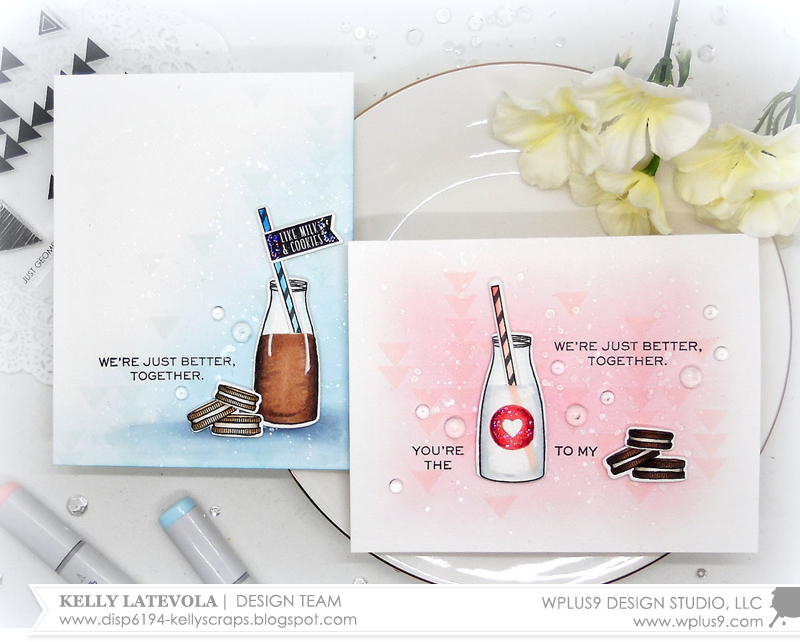 For your convenience, here is a list of the featured Wplus9 supplies used on today's project(s), along with links to purchase. Ohio is still freezing but at least we are in the double digits again. Never thought I'd be so grateful for 22 degrees ha! Since this cold is keeping me cooped up in my craft room - it's a hardship, I know - I have multiple cards for you again! I love using older stamps and dies with a more modern spin don't you? I decided to get out the Milk & Cookies set and get to work. I combined them with a super soft ink blended background. To add some charm to the background I spattered on some Shimmer Spray and then stamped the Just Geometrics: Triangles in the background. 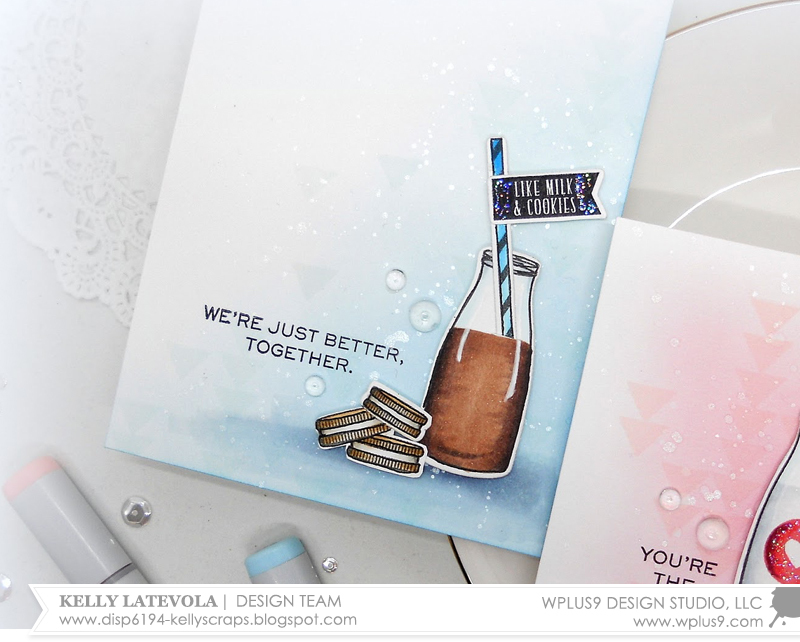 I love the contrast of soft colors with the harder edged graphic look of the triangles. 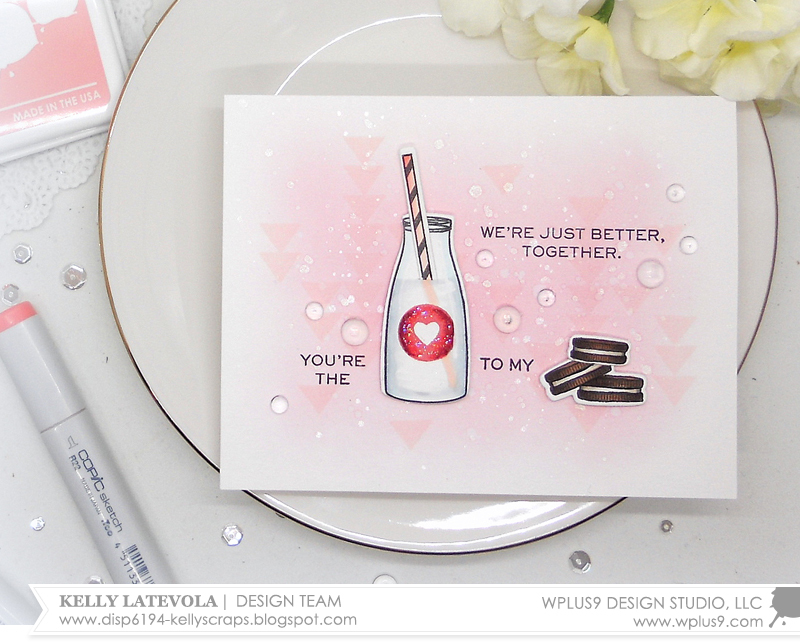 I went with pretty traditional cookies and milk for this card. The "picto-gram" feel adds some interest as does the pop of color from that bright red heart label. This one is a bit less traditional but it combines my son's favorites, chocolate milk and vanilla cookies. I added a shadow to ground the images and a glittery flag for some fun. I'm so glad I added those highlights at the last minute. I think little details like that really help make a simple card design look "extra". I went pretty traditional for both cards, but as I said in the video, they are selling all different kinds of Oreos and flavors now-a-days. Personally, I'm a double stuffed girl for sure, which one is your favorite? For your convenience, here is a list of the featured supplies used on today's project(s), along with links to purchase. Please note: this list contains affiliate links.